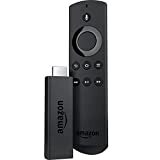 Remember the surprise sale we told you about over the weekend that dropped the price of the Fire TV Stick with Alexa Voice Remote to just $24.99 for Prime members only? Well guess what: it’s somehow still going on now. Thousands of our readers have already taken advantage of this limited-time deal, but it’s likely to be over by the end of this week so we wanted to give you one more chance to get in on the action.